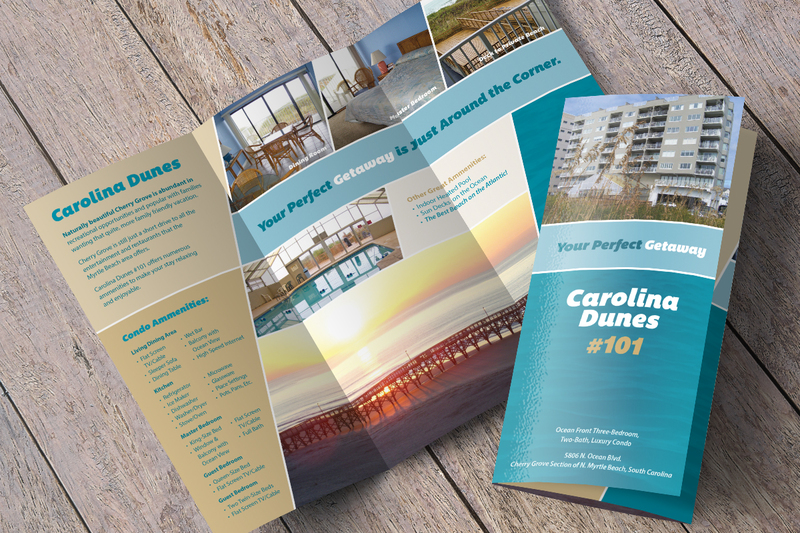 The Carolina Dunes is an oceanfront complex where you will find luxurious and spacious two and three bedroom condominiums. The complex is located in the North part of Central Myrtle Beach, known for being centrally located to all that Myrtle Beach has to offer and its wide beaches. Owners of condo #101 wanted an informational piece to leave behind with potential vacationers that described the property as well as the local amenities. The use of high resolution images and an ocean color palette enhance the appeal of a taking a beach vacation.